DriveStrike Joins the National Cyber Security Alliance in Global Effort to Support Data Privacy Day by Becoming a 2019 Champion. Each Jan. 28, Hundreds of Organizations and Individuals Collaborate to Generate Awareness About the Importance of Respecting Privacy, Safeguarding Data and Enabling Trust. San Francisco, CA, January 10, 2019 --(PR.com)-- DriveStrike has announced its commitment to Data Privacy Day ‒ an international effort held annually on Jan. 28 to create awareness about the importance of respecting privacy, safeguarding data and enabling trust – by signing up as a Data Privacy Day 2019 Champion. As a Champion, DriveStrike recognizes and supports the principle that all organizations share the responsibility of being conscientious stewards of personal information. Data Privacy Day is part of a greater campaign that promotes awareness of the importance of privacy, highlights easy ways to protect personal information and reminds organizations that privacy is good for business. DriveStrike joins the growing global effort among nonprofits, academic institutions, corporations, government entities, municipalities and individuals to raise awareness at home, at work and school and in their communities. Through collaboration and unified, consistent messaging about privacy and protecting personal information, all Data Privacy Day Champions are working toward the common goal of improving individual and business consciousness toward respecting privacy, safeguarding data and enabling trust. At DriveStrike, they are committed to data privacy, data and device security, as well as fostering individual and organizational responsibility in protecting the privacy of individuals’ personal and non-public behavioral information. DriveStrike operates in an ever increasing world of data connectivity and sharing – data privacy and safeguards are a must. Consumers and businesses alike count on data driven services to properly safeguard their data as well as educate them on the possible uses and disclosures of the information they provide or create as a customer or user of any platform. Please join in promoting and fostering ethical standards and continuous education in data privacy and responsible use of technology. 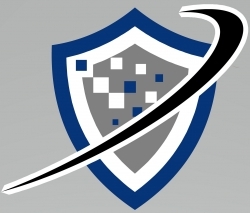 DriveStrike, 2008 Digital IQ award recipient for IT Security, is a data and device protection service with enterprise, small business, healthcare, financial services, banking, insurance, and logistics customers around the globe. DriveStrike’s product provides data breach protection for computers and smartphones on every major operating system, including remote wipe, asset tracking and mobile device management.